A blast from the past for anybody that enjoyed bbq back in the day was the iconic East Bay late night stop called Flint’s BBQ. 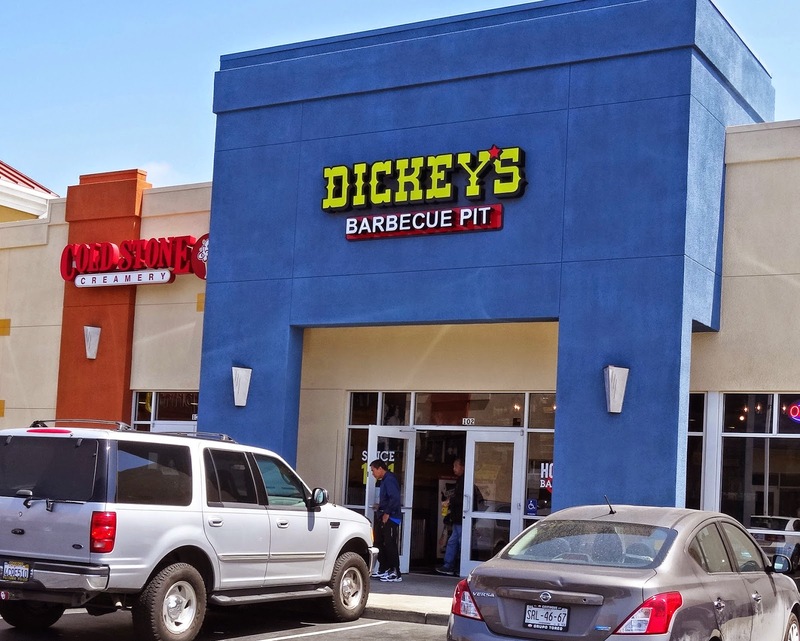 While growing up and as a young adult Flint’s BBQ was the only bbq that we knew. 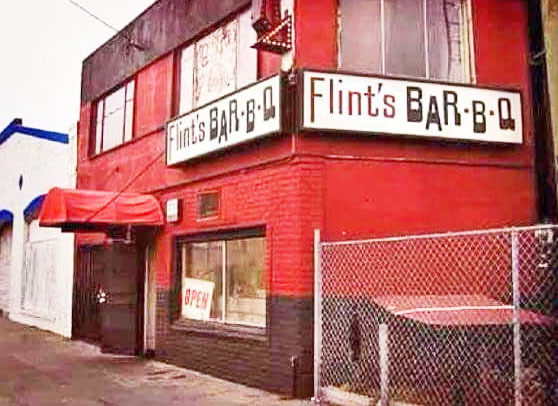 Flint’s had a flavor and atmosphere that forever will be remembered. There were several locations in Oakland and we would frequent the Shattuck ave branch. It is the late 70’s, late at night, we probably imbibed with excess multiple stimulants and we were hungry. Flint’s would be open till very late. We would stumble in and get in line with a colorful group of locals, cops, pimps and a few long hair hippie freaks. All were welcome at Flint’s. You would order a sandwich. You would pick your bbq meat and it would be piled high on a slice of white bread on a paper plate with a perfectly round scoop of potato salad to the side.. A huge ladle of bbq sauce would be poured over the meat. White bread would be placed on top and all put in a brown paper bag. We were familiar with this routine so we knew to put this bag on the floor or trunk of the car because sauce and grease would leak all over the place. 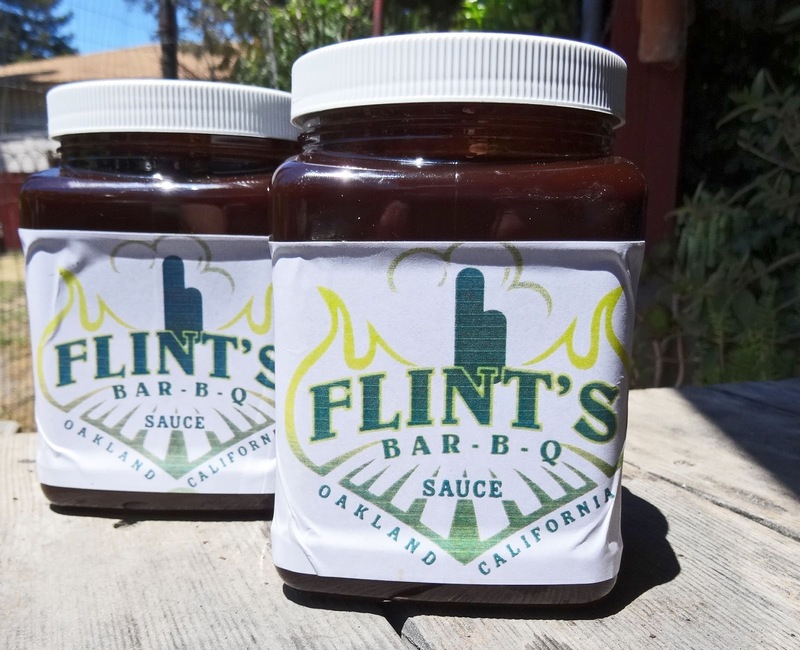 Flints has long closed down but the memory of their unique bbq sauce still lingers in the flavor memory banks. Cornelius N. Flintroy started working at his families bbq restaurant at the tender young age of fifteen. 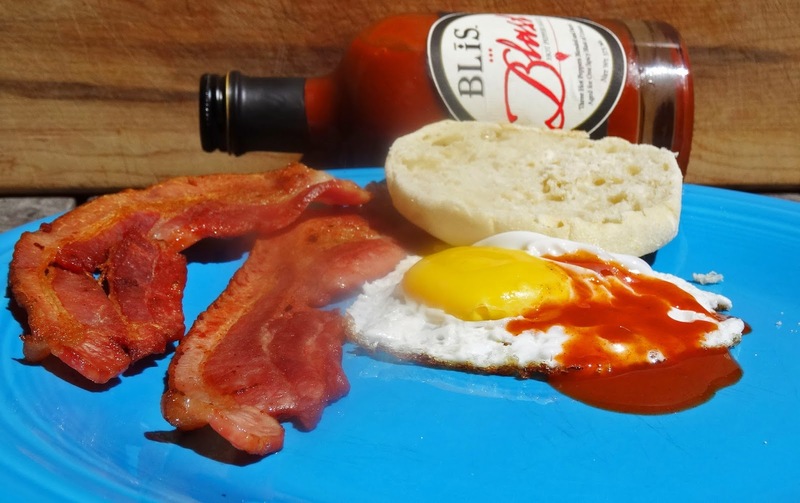 He now is trying to revive, bottle and sell his families special bbq sauce. I met him recently finding him on social media. He graciously invited me to his house. Cornelius is a soft spoken man who has the gravely voice of a seasoned blues singer. It was fun reminiscing about the old days. He currently is making the sauce in his kitchen and hopes to expand to a commercial setting. We parted ways and I left with a couple of sauces and a smile on my face. Flints bbq sauce is a unique bbq sauce that triggers memories for me. It is very dark red, almost black in color. It is smooth and fluid that pours easily from the bottle. The tastes are deep and rich with coffee and molasses. It is not sweet but has a little sour tang from the vinegar. 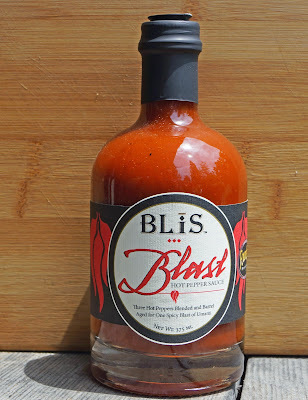 We cooked some ribs and used this sauce at the very end of the cook. 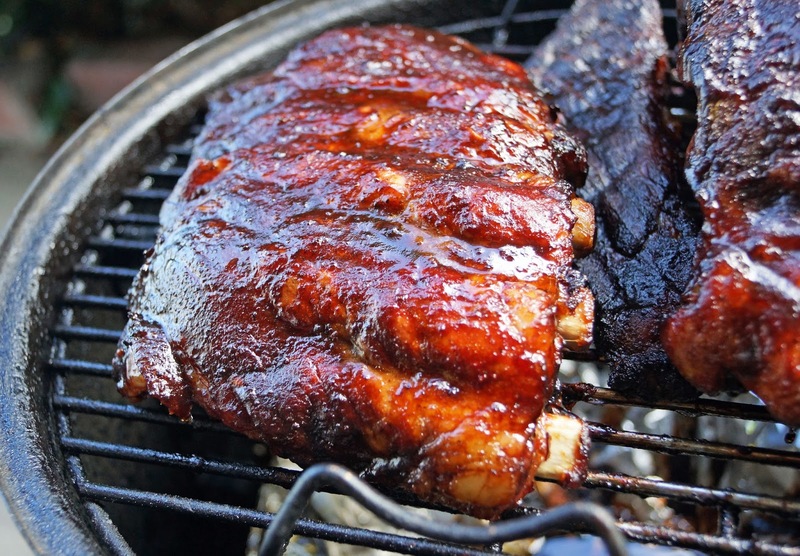 The rib rack was brushed liberally with sauce and returned to the smoker just long enough for the sauce to set. 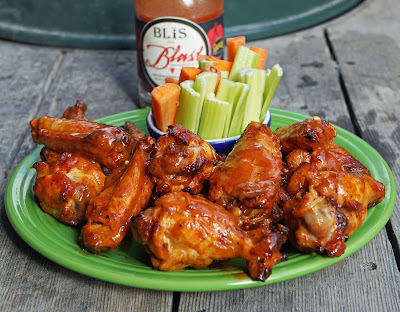 This sauce works. Ms. Goofy really enjoyed it. My tastes have changed over the years but this flavor is one that always will be great in my book. 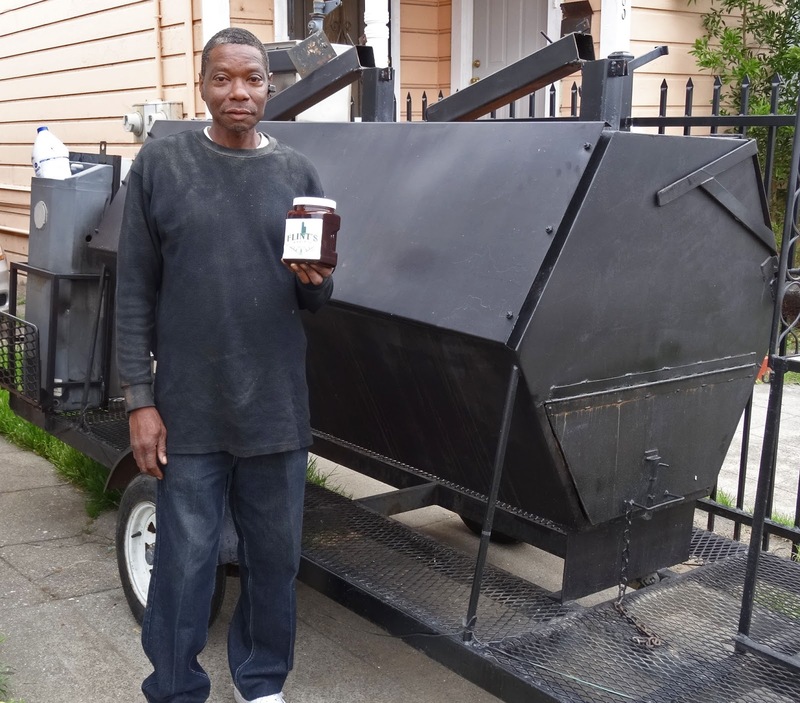 We wish Cornelius success in returning his families sauce and tradition back to bbq aficionados. The image of Flint's was used by permission of Cornelius N Flintroy. You can contact him about his sauce on Facebook. 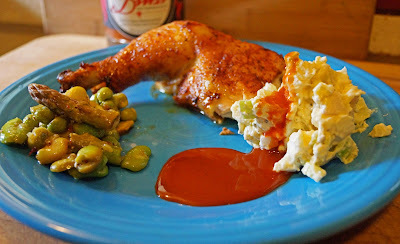 This meal was so amazing that we had to share it with you. 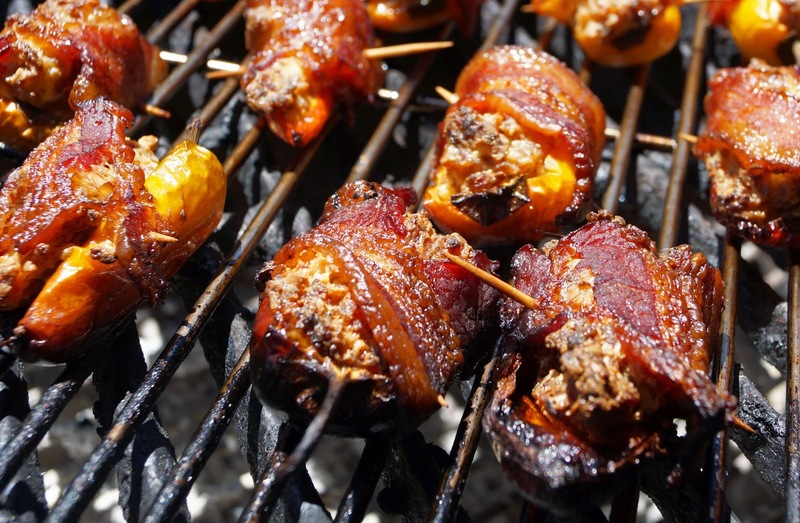 These are stuffed hamburgers wrapped in bacon and then smoked. Oh my gosh were they fantastic. The technique of creating these burgers is shown in the video below. The burger meat is formed around a cold beer can. 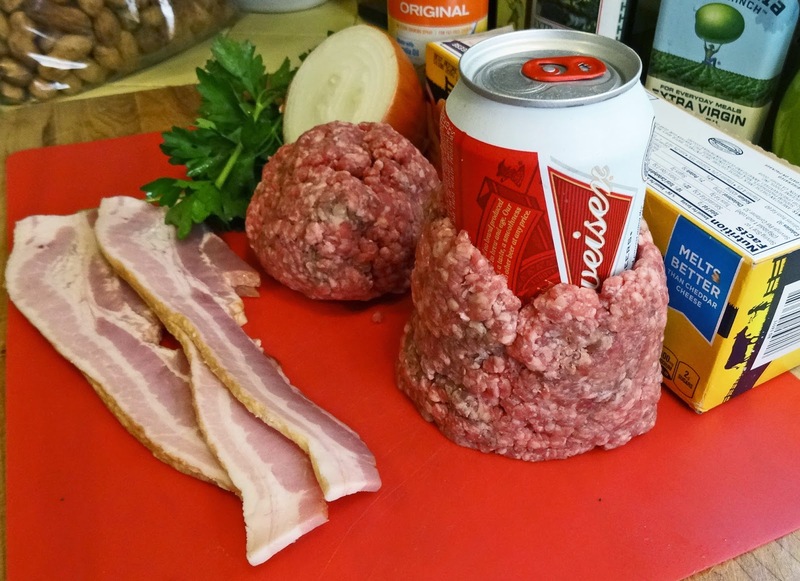 The beer can is removed to reveal a cavity that can be customized with your choice of stuffing. 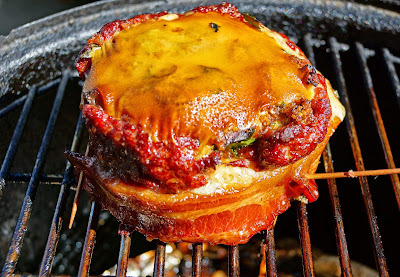 We have also changed the recipe to cooking our burgers in a smoker instead of a covered grill. This will add another component of smoke. Our wood of choice today is apple wood. Our hamburger and bacon was sourced by our friend Angelo of Angelo's Meats. Our stuffing includes mushrooms, young garlic, onions, bread crumbs (made from toasted fresh bread), cheese, and parsley. The onions and garlic was briefly given a saute in olive oil. The heat was raised and the mushrooms were added. A dusting of salt & pepper is mandatory. Once the mushrooms were nicely browned the heat was turned off and I added a pat of butter. The bread crumbs were added and stirred to combine.The mixture was removed from the heat and cooled completely. The parsley was chopped and the cheese sliced. The parsely was added to the cooled mixture. 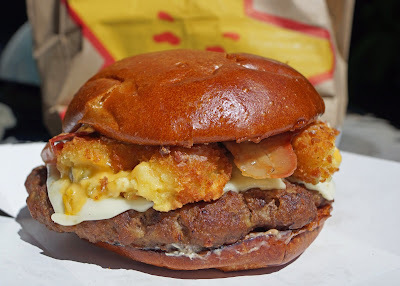 I place a slice of cheese on the bottom of the burger cavity. Then stuffing was added. A slice of cheese was put on top to cover. 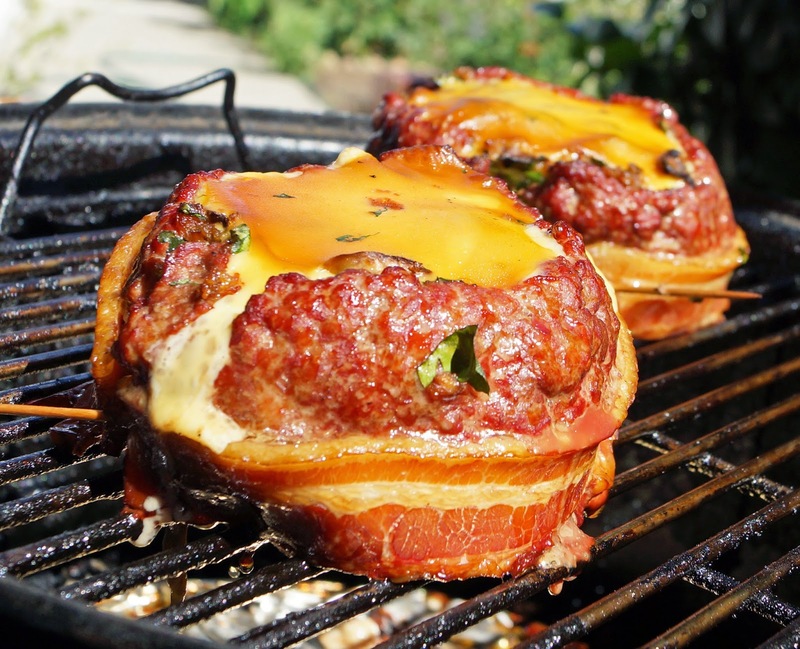 Bacon was wrapped around the burger and secured with a toothpick. It is time to cook. I smoked our burgers for one and one half hour. It was so tempting to lift the smoker lid to watch their progress. I could smell bacon rendering and sweet apple smoke. Oh my! They looked and tasted fantastic. This recipe is a keeper. The nice thing about this technique is that you can customize it to your desire. The fillings and topping combinations are only limited by your imagination. Have fun. In the Chilebrown ice cave is a collection of meat from previous Meat Adventures. 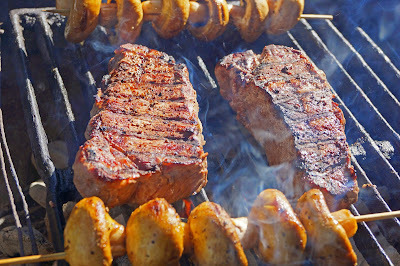 We bring out and thaw a couple of Baseball steaks from our last adventure to Harris Ranch for tonights bbq meal. 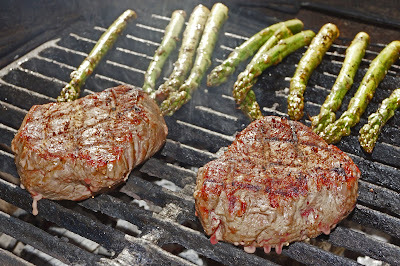 Baseball steak is cut from the sirloin with a circular cut to mimic a filet. The sirloin has a lot of beefy flavor. When cooked to a medium rare leaning to the rare side it is almost as tender as a filet. This cut is also a little more economical to the pocket book. Overall this steak was spectacular. Tonight's PSA is brought to by yours truly. Do as I say not as I do. When using mesquite charcoal as a fuel for grilling wear proper footwear. This will protect your tender feet from any charcoal that pops and explodes from the fire. A hot glowing red ember may possibly lodge between your toes and cause havoc and lots of pain. I have not learned my lesson because this is not the first time. The small molten glowing hot ember will immediately melt into the tender skin and it does not matter how fast you try to remove it the damage is done. Someday, I hope to be smarter than the fire. 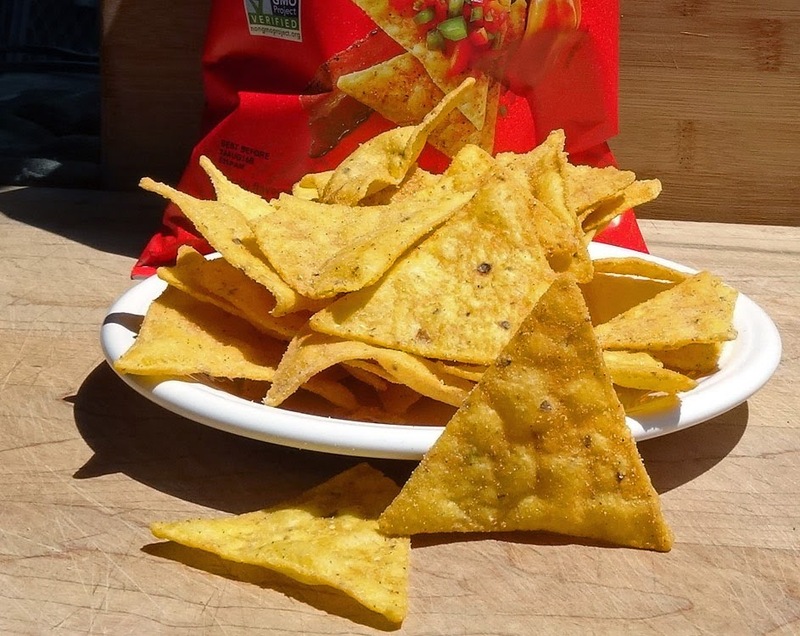 Do you know the true reason for celebrating 'Cinco de Mayo'. Well, pull up a cold one and I will tell you. Cinco de Mayo is a holiday when "Wally World' discounts avocados and pork shoulders. The true meaning of this holiday is to barbeque with a Mexican theme. 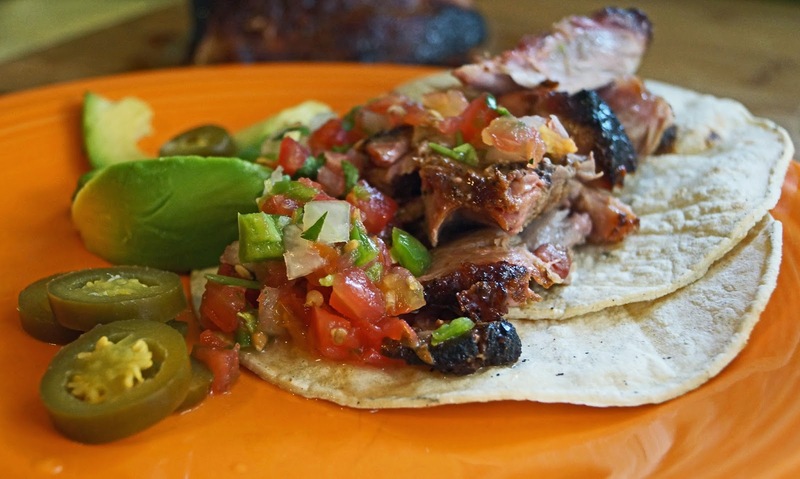 Pork shoulder roast tacos accompanied by fresh salsa and avocado is a simple but very flavorful meal. We are going to cook our roast over an indirect hot fire. 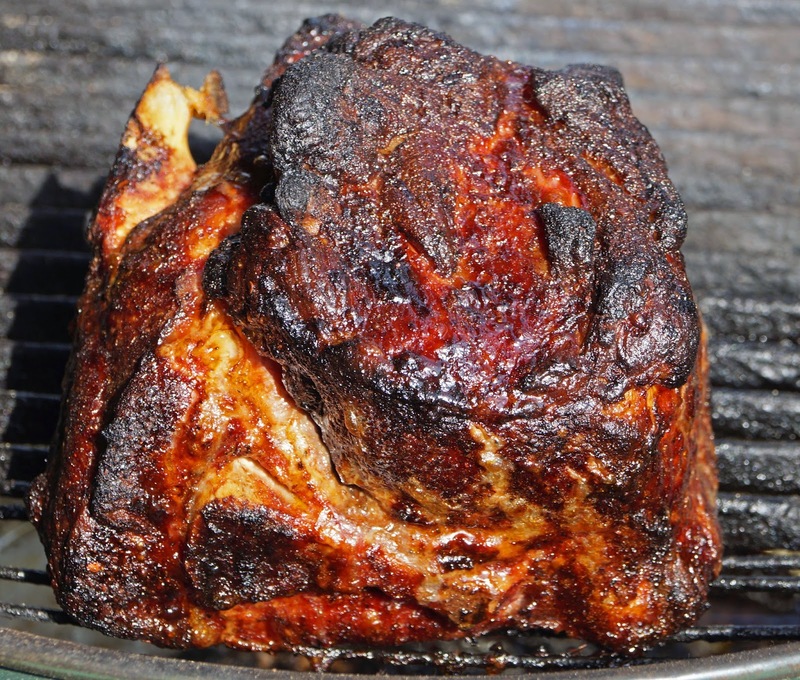 Our roast weighs in around five pounds and took three and one half hours to cook. 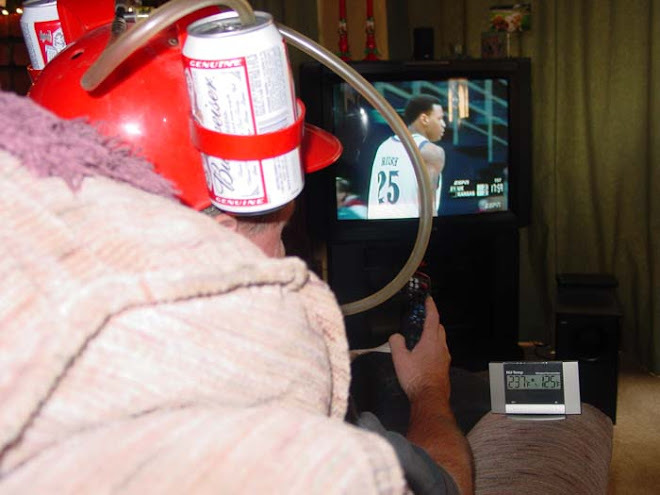 The effort is minimal but the results are outlandish. The roast was trimmed of all visible excess fat. It was then rubbed with 'Robs Smokn Ruib'. 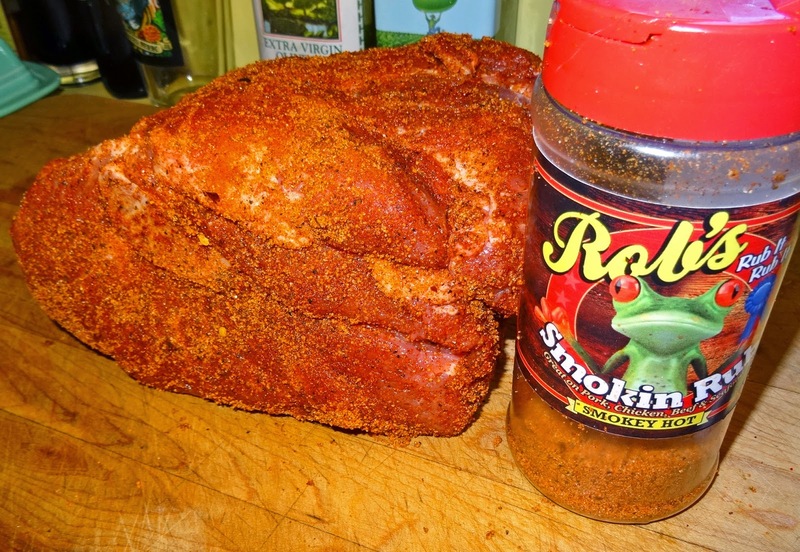 This rub is an all purpose rub that works well on many bbq applications. The roast was left out for an hour to bring to room temperature. We used a 22.5in Weber bbq for our cooking vessel today. A fire consisting of 40 charcoals was lit. The live charcoals were placed on one side of the fire grate. A foil pan was placed on the other side of the fire grate to catch all the roasts drippings. I then place several chunks of hickory wood on the lit coals The grill was put into place and the roast was placed over the foil side. The vents were opened all the way for maximum air flow. After 1.5 hours I restocked the fire with 20 live coals. I used restraint and did not lift the lid to check the roast. After 3.5 hours I removed the roast and let it rest for another half. The internal temperature read 185. I could of left it on the fire for a smidge longer but I was hungry and it looked fantastic. Fresh tortillas warmed on the grill, pickled jalapenos, fresh salsa (pico de gallo) and sliced avocado was all this fantastic pork needed. This is the true meaning of Cinco de Mayo in our household. I think we will celebrate this holiday several times again. What a fun day we had in Elk Grove California. 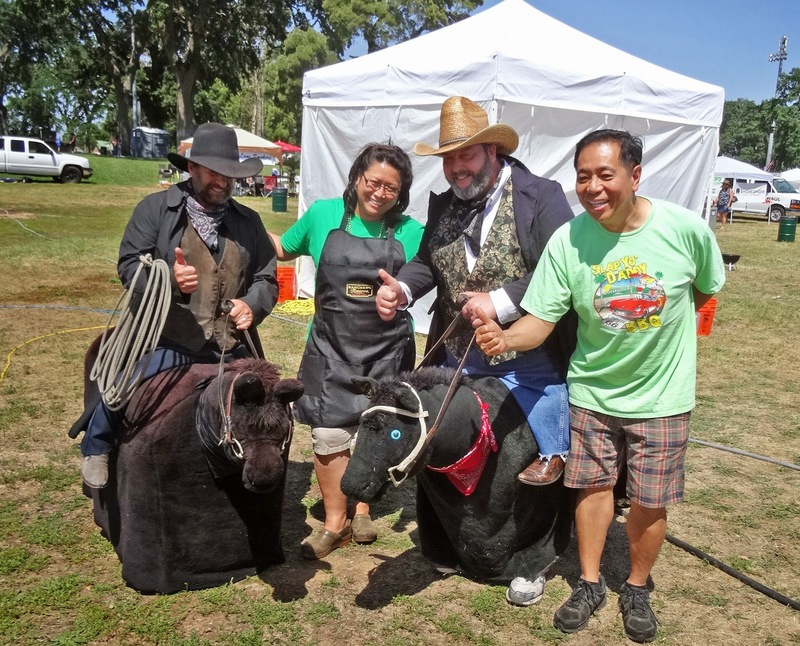 I got to wear my cowboy hat again at the Elk Grove Western Festival. Ms. Goofy and I sampled and scored some of the best bbq in the nation. Fun was had by all. We cannot wait till the next event. 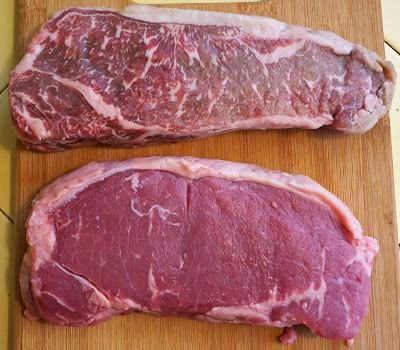 Bud's Meats in Penngrove, California has an extensive line-up of exotic meats. 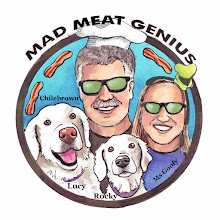 Ms. Goofy and I usually stock up on ground buffalo meat when ever we visit Bud's. 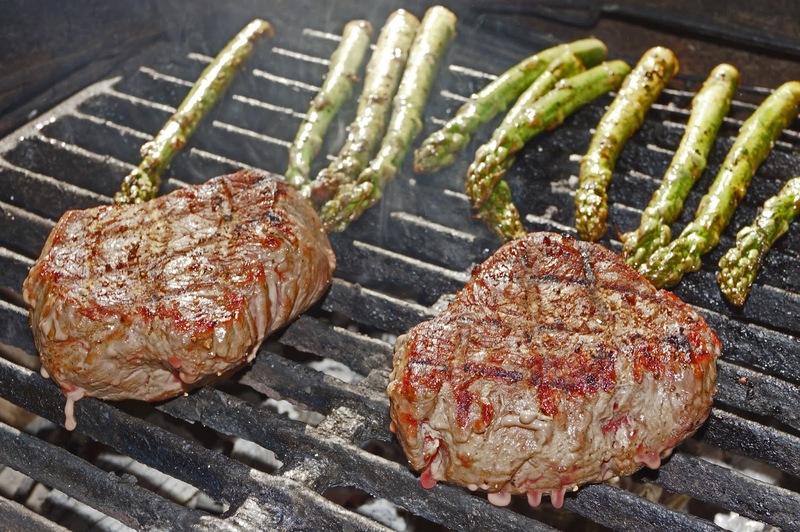 Buffalo meat is leaner and has more flavor than traditional beef hamburger. These frankfurters begged for further inspection. We were not disappointed. 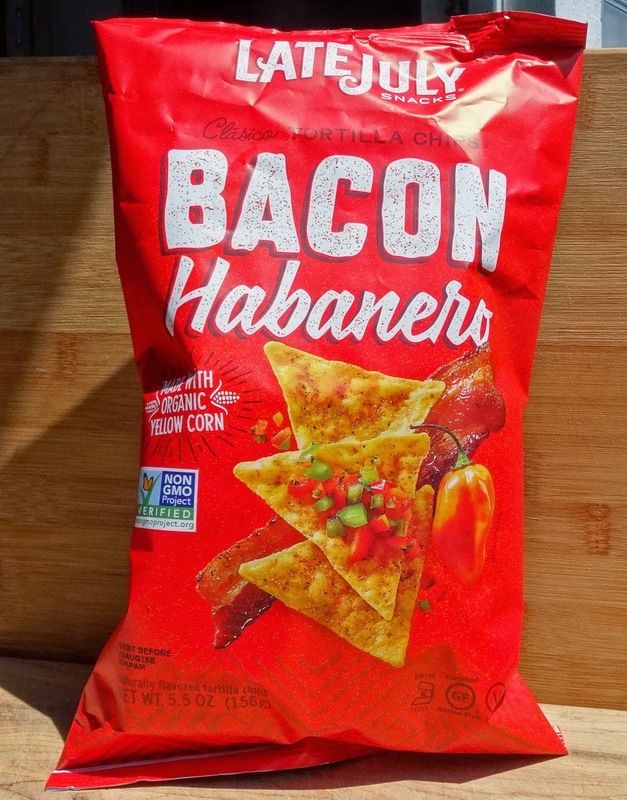 They had a mellow beef like flavor. There was a hint of smoke. I would even venture to say it was more sausage like than a traditional frankfurter. They were yummy. This will definitely be in our shopping cart the next visit.